WASHINGTON -- One of the largest progressive groups in the country is searching for new leadership after its co-heads announced to staff Tuesday that they plan to step down before the 2020 election. Anna Galland and Ilya Sheyman, who respectively run the nonprofit and political arms of MoveOn, told NBC News they decided to leave after six years on the job to make room for new leaders. "Coming off a transformative election and in a moment where our organization is huge and healthy and in motion, it feels like the best time to get someone else set up to lead through the next two-year arc and beyond," Galland said. "We'll be MoveOn members for life." The board of MoveOn and an outside executive search firm will begin a public search process aimed at finding a new executive director or directors sometime this year, with Galland and Sheyman planning to stay on until then. Several other national progressive groups, such as Democracy for America and the Working Families Party, have recently installed people of color in their top jobs to better reflect a progressive movement that is increasingly concerned with racial justice and adequate representation of minority groups in leadership. 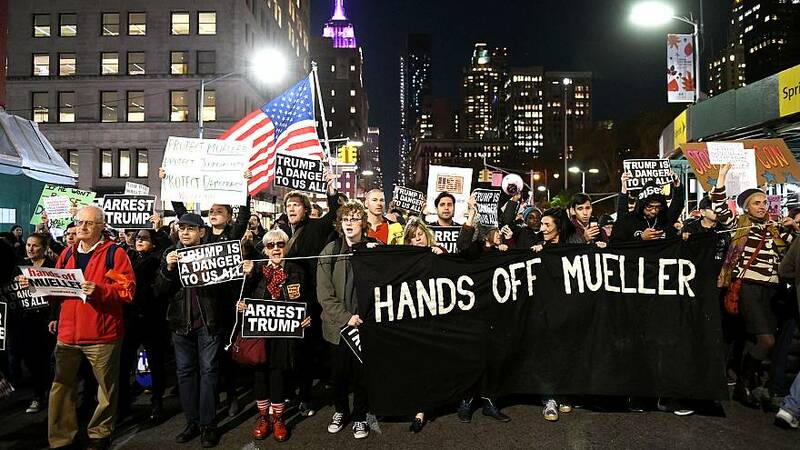 MoveOn, which was founded in 1998 to fight the impeachment of President Bill Clinton, has seen its membership swell in recent years as it became a hub of the so-called "resistance" against President Donald Trump's agenda, organizing major rallies for causes such as defending special council Robert Mueller and protesting the separation of families at the southern border. The group's budget has quadrupled from $7.5 million to $32 million a year and its staff has nearly tripled since Galland and Sheyman took over early in President Barack Obama's second term, according to internal figures provided by MoveOn. And the group now has nearly 1 million SMS subscribers, up from almost none in 2016. With millions of members, MoveOn has been one of the few major institutional players on the left side of the Democratic Party. Unsatisfied with Hillary Clinton in the lead-up to the 2016 presidential race, MoveOn first tried to draft Sen. Elizabeth Warren, D-Mass., into the race, before ultimately backing Vermont independent Sen. Bernie Sanders after Warren decided not to run. Since then, a new crop of groups even further left and more confrontational than MoveOn has sprung up, inspired by Sanders' presidential run and the democratic-socialist policies he espouses. A recent straw poll of MoveOn's members shows a wide-open competition for liberal voters in the the 2020 Democratic presidential contest, with a plurality of 29 percent of respondents saying they either didn't know whom they would support or wanted someone not listed among the group's more than 30 potential candidate choices, which included Sanders and Warren. Sheyman said the group's members are eager for a vigorous primary. "2020 will obviously be an essential pivot point in our politics, but the work of MoveOn will only become more essential after as we try to dig out," he said of a potential post-Trump era.